Catherine Fletcher is a historian of Renaissance and early modern Europe. 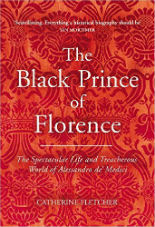 She is the author of The Black Prince of Florence: The Spectacular Life and Treacherous World of Alessandro de’ Medici (2016), described as ‘spectacular, elegant, brilliant’ by Simon Sebag Montefiore and ‘astonishing, gripping and original’ in the Financial Times. 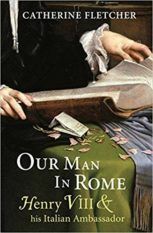 Her first trade book, The Divorce of Henry VIII: The Untold Story from Inside the Vatican was published to wide acclaim by Bodley Head in 2012. Catherine was a BBC New Generation Thinker in 2015 and has contributed to a wide range of programmes for Radio 3 and 4 including Free Thinking and In Our Time. She advised on the 2014 BBC adaptation of Hilary Mantel’s Wolf Hall. 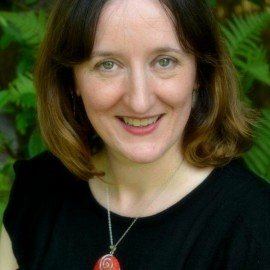 Catherine has been Associate Professor in History and Heritage at Swansea University since 2015; prior to that appointment she held fellowships at the Institute of Historical Research, the British School at Rome and the European University Institute, and taught at Durham and Sheffield Universities.